Sea Star Property Management's team has more than 20 years of experience in the Southwest Florida vacation rental market as well as residential property management for vacation homes. It is just as important to find the right property management and vacation rental agency for your home as it is to find an experienced and skilled real estate agent to assist you in purchasing the right home. You should use the same due diligence when choosing a property management or vacation rental agency that you would apply to your real estate agent selection process. We are available to assist you and to insure that your vacation/second home ownership becomes the enjoyable and rewarding experience, which it should be. Take a moment and complete our property management online form today! Sea Star Property Management is dedicated to working hard for you, the home owner. Our marketing efforts will promote your vacation home through a carefully selected variety of marketing channels. Our guest services experience will insure that your guests' questions get answered and that they have a knowledgeable contact right here in Southwest Florida. We can assist your guests with vacation planning and service their needs during their stay. 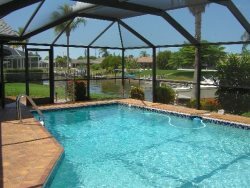 Simply put: We offer complete care for your vacation home, so you can relax and enjoy the rewarding experience of owning a Southwest Florida vacation home. Experience. Our team members have more than 20 years of experience in the Southwest Florida vacation rental market/residential property management market. Owner Relations. We understand that owning a vacation or second home is one of the largest investments in your life. That is why we are dedicated to protect your investment and help you make it the gratifying and enjoyable experience you desire. Our personalized customer service makes the difference, whether it is keeping you informed of necessary equipment replacement or recommended upgrades to your amenities and furnishings, or timely statements and reports, our commitment to you the home owner is our highest priority. Transparency. Each of our home owners will be provided with a personalized and secure online owner account. The online account allows our home owners to access information such as the property calendar for their home, view existing reservations, as well as let them make their own reservations online. Each account is secured by a personalized login and password. All invoices for repairs, maintenance, etc. will be scanned and attached to the monthly statements as back up information. Guest Services. Sea Star Property Management is dedicated to provide guests with exceptional customer service. We take the extra time and make the additional effort to assist guests by answering the questions they may have, helping guests plan their vacation, and anticipating their needs by keeping guest directories and offering welcome packages. Sea Star Property Management, LLC is licensed by the Florida Division of Hotels and Restaurants under Chapter 509, Florida Statutes (FS). The Florida Division of Hotels and Restaurants licenses, inspects and regulates public lodging establishments.